Wholesale coffee roaster Cuvée Coffee didn’t start with a five-year plan. The company was born through exploration, when owner Mike McKim discovered his passion for roasting. In a Dallas warehouse, under the mentorship of his uncle, Mike got to know coffee, taking it from an enjoyable hobby to a livelihood. For him, passion and inspiration always came first. 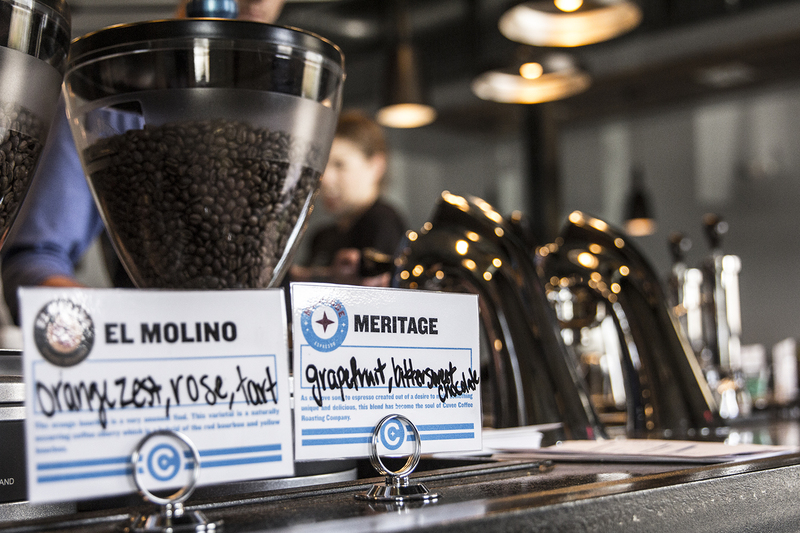 Meeting Texas’ growing demand for specialty coffee came later, the icing on the cake. That was in 1998. In the years that have elapsed, Cuvée has steadily charged across Texas and the nation, developing a reputation as one of the country’s most dedicated and innovative craft roasters. 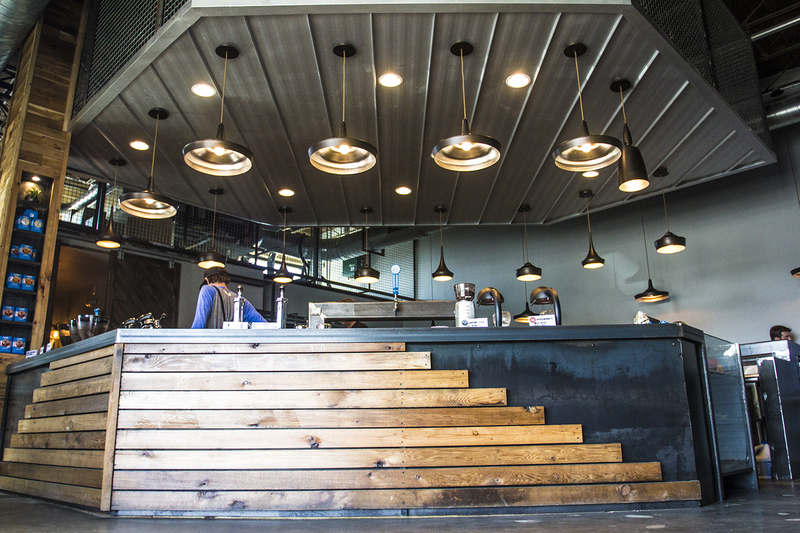 Everything the company does, from its relationships with farmers to its proprietary nitrogenated cold-brew, Black & Blue, it does with intention, so it’s no surprise that Cuvée’s long-awaited flagship café—which opened its doors in Austin in August—is anything but ordinary. Cuvée’s East Austin Coffee Bar does three things very well: being pure Austin, distilling everything the coffee industry has learned up to this point, and transitioning seamlessly from café to bar. 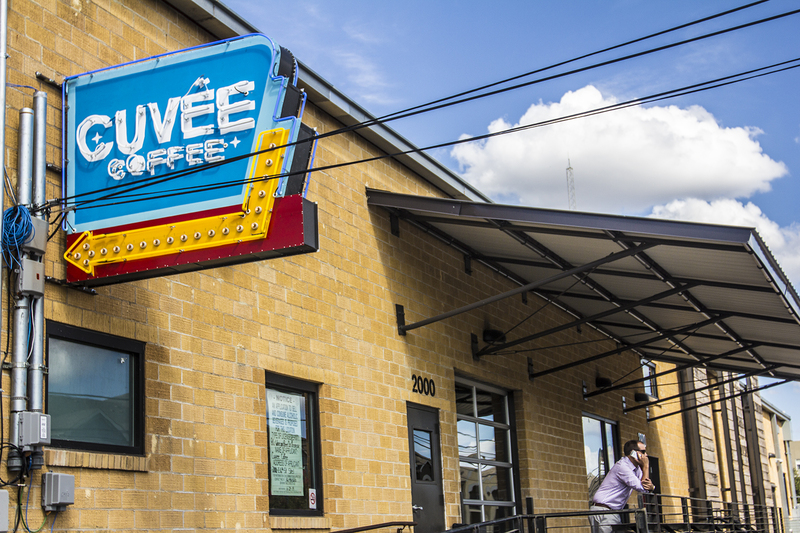 With the benefit of nearly two decades watching trends pass and fade, Mike and the team at Cuvee were able to design a shop that both incorporates the best of third wave, pushes the café model further, and stays true to simplicity and the company’s Texas roots. The result is a space that challenges perceptions of how coffee can be served and streamlines the experience in a fun and thoughtful way. The central bar at Cuvee’s East Austin shop. “Most cafes are all the same in that you walk up to the register and buy your drink,” says Mike. About a year and a half ago, during a self-imposed sabbatical from the industry, Mike began envisioning coffee ordering a different way. Inspired in part by the Modbar, and in part by fast-casual German eatery Verts Kebap (“Born in Bursa, Perfected in Berlin, Jalapeño’ed in Austin”) and other compartmentalized food menus (think Chipotle), he began imagining a fast-casual coffee experience that stripped the drink down to its elements. Back at the drawing board, he created just that, and added beer and wine. Customers to the shop begin at a large, circular, central island, one that naturally draws the eye and the flow of foot traffic. There, they choose a cup size (two, four, eight, or twelve ounces). Then they begin the flow around the island, to a barista at the Modbar. They choose an espresso (from three picks), and keep flowing to the second barista, who steams milk to their choosing. From there, they proceed to the register and pastry case, where they pay, drink in hand. Drip coffee enthusiasts choose a cup size, and proceed directly to the pastries, and a Curtis Seraphim is on hand for pour-overs. 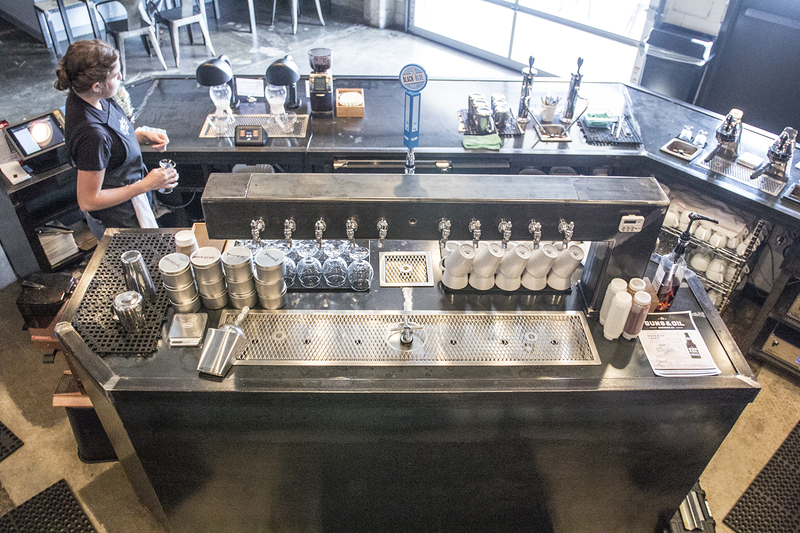 Beverage prep is compartmentalized behind the bar. There are several advantages to this setup. One, it keeps the line moving. Where most café lines feel tedious, as each customer orders and waits around in turn, in this model customers move at regular, short intervals, with choices dispersed along a line that navigates and intriguing central space. “Everything is compartmentalized,” says Mike. On the other side of the bar (the high bar, compared to the espresso bar’s lower counter), modern bar stools nestle up to twelve taps: nine beers, two wines, and Black & Blue. (The tapped cold-brew’s popularity far outstrips any other menu item.) The bar feels like a bar, relaxed and inviting, while the coffee side hums along. Mike says the trick was centering the whole production. The building is special in its own right, an open, repurposed industrial space also home to creative offices. A former loading dock serves as an ample porch for outdoor seating, and the use of handcrafted steel around existent exposed block keeps the original vibe intact while adding sophistication. Out front and classically Austin, a vibrant neon sign by an iconic local signmaker ties the café to the city’s roots. Located on historic Sixth Street, in an entertainment district known for its lively venues and bars, Cuvée is ideally placed in the city’s downtown scene. Bottled Topo Chico and pastries from Walton’s Fancy & Staple (a local bakery started by Sandra Bullock) further cement Cuvée’s dedication to Texas’ capital.